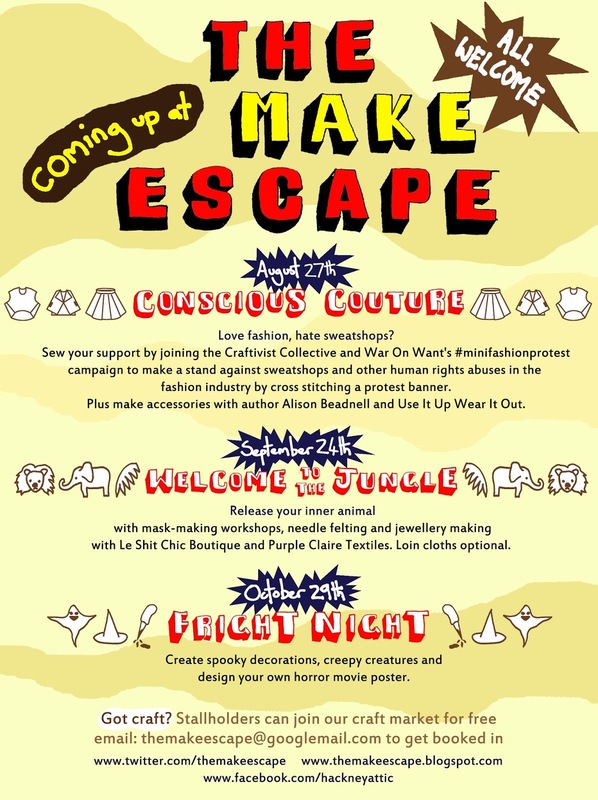 Please join us (& share with others even if you can’t come) at Momtaz Begum-Hossain’s August The Make Escape 7:30pm-11pm on Tuesday 27th August at the Attic in Hackney Picturehouse. 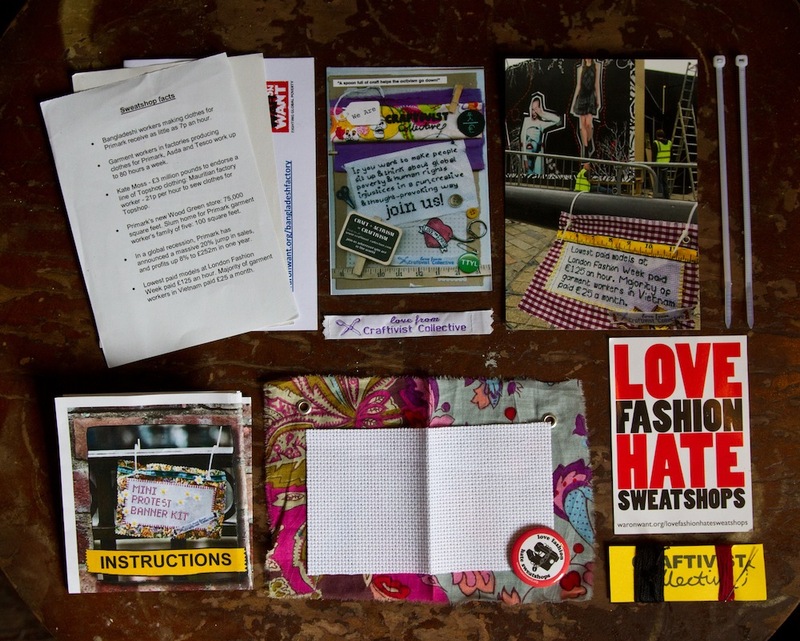 Supporting our Summer project with War On Want in the lead up to this year’s London Fashion Week by making a stand against sweatshops and other human rights abuses by stitching mini banners that you can take away and hang somewhere that will make people think. Sarah will be giving a talk about the project and War on Want will speak about their campaign & we will be encouraging you to work on your banner & when completed photograph your banner in situ, the images will be used on a photography exhibition later in the year. Don’t worry. You don’t online pharmacy bitcoin need any experience of sewing. Help and materials will be on hand. Use It Up Wear It Out are renowned for being conscious crafters, specialising in using recycled materials to create new fashionable items including clothing and accessories. Designers Karen and Jo will be on hand to help you make this summer’s must-have hair accessory. Due to the recycling nature of this activity you are encouraged to BRING YOUR OWN MATERIALS – broken necklaces, unwanted jewellery etc and the girls will show you what to do with them. Sheridan Lane is one of the most popular workshop leaders at The Make Escape and she’ll be bringing a tub of beads to help you make your own pair of earrings or a keyring. 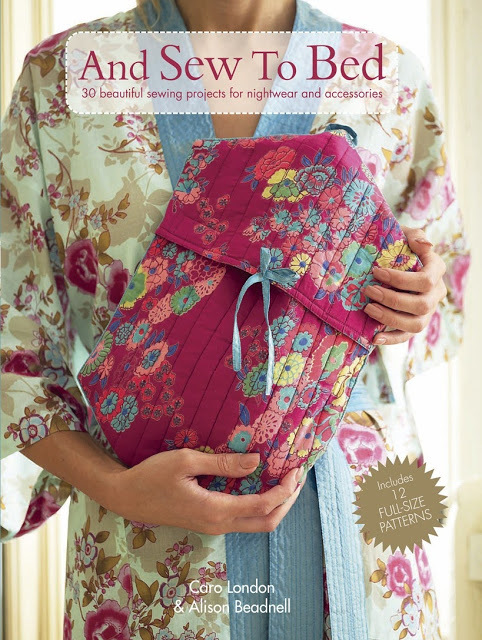 Local textile designer and co-author of And Sew To Bed Alison Beadnell is also a promoter of upcycling and she’ll be showing you how to make your own transportable tissue pocket holders. A mighty fine selection of workshops even if we do say so ourself! There will also be the usual Collage Corner where you can make Paper Dolls and the Knaughty Knitters will be joining us to show you how to knit, or help you with a project you’ve got on the go. All workshops are FREE and take place at The Hackney Attic from 7.30pm-11pm. Sorry we won’t be able to come to your Make it, but my friend Robin (an artist) and I have been making our own contributions to “slow fashion”. Robin gets jackets from the Goodwill store and I decorate them with fabric made from her art – see it at http://bajorlane.blogspot.com/. So we not only get to recycle, Robin gets to wear her art!